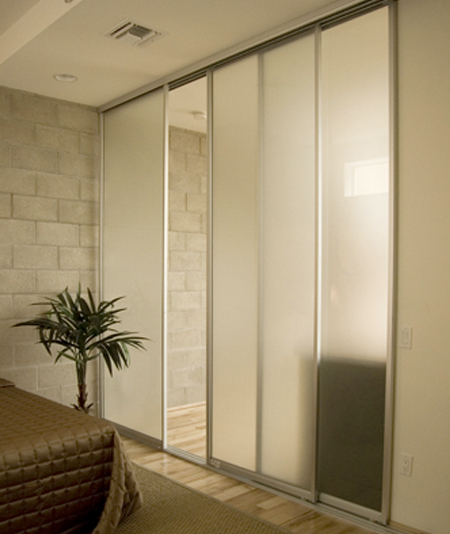 Silhouette® is one of our premier Wardrobe Door models, offering a substantial and deeply sculpted aluminum Frame with integrated Handles in six standard anodized colors and in High-Gloss White Paint, each with its own color-coordinated Glazing Vinyl. Mystique™ glass allows light to pass through, but only diffusely, so that objects on the other side cannot be clearly distinguished. 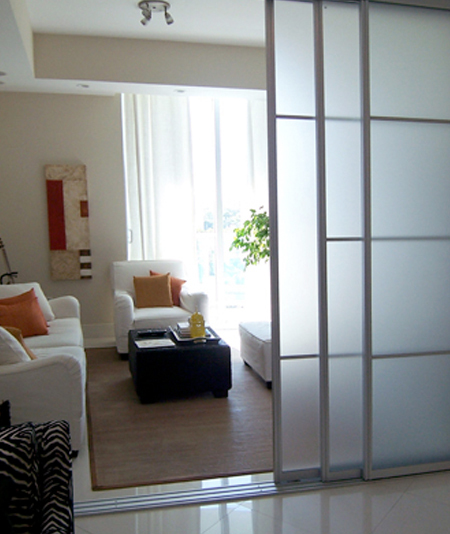 Its translucent look has a special quality of making images appear mysterious and desirable to help improve your living environment.